I want to share one of my favourite finds from the ABC trade show I went to in October. 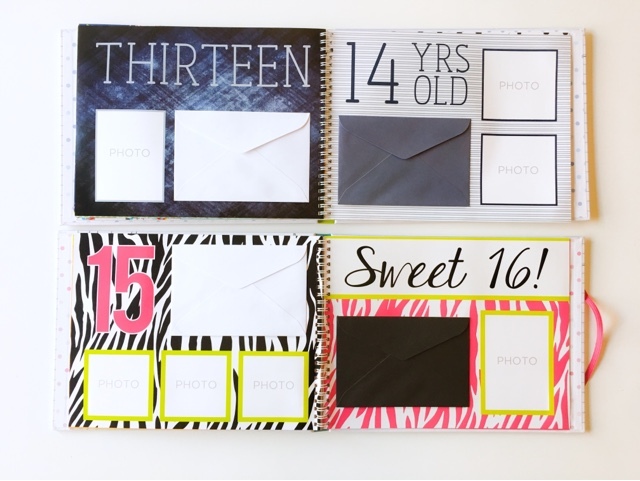 If you are like so many of us mamas, you have the best intentions in world to keep a baby book. 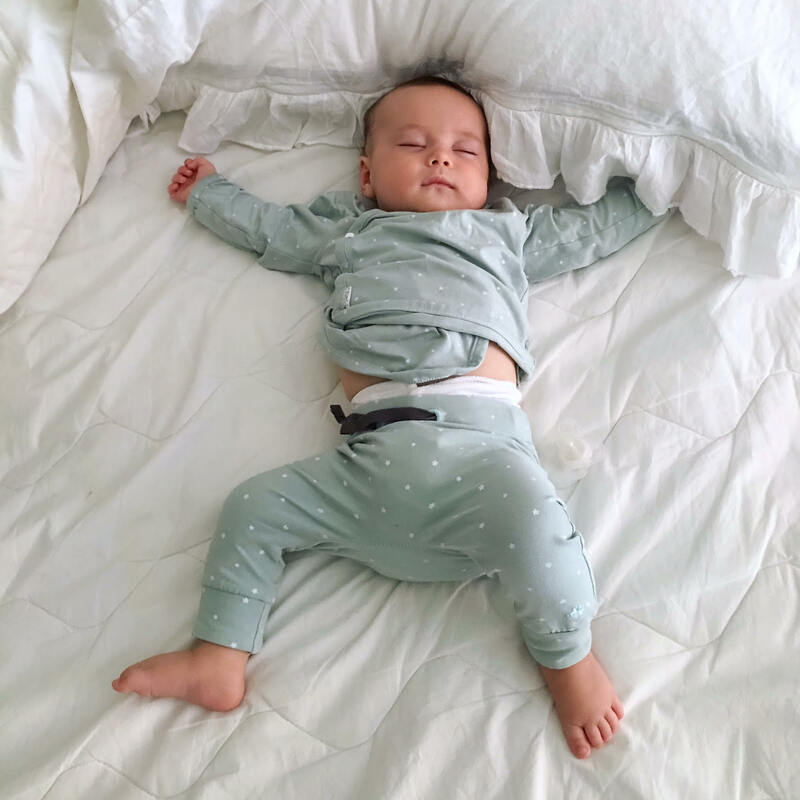 Often we have the sweet little newborn and as they nap we write down their schedules, dirty diapers, weight, when they first smile, when they roll over and then reality hits and the baby book gets lost in the mix of motherhood. We forget to write the day they got their first tooth or how many weeks they were when they first crawled and guilt sets in! Heck, some of us have another baby and the next doesn't even get past the first page of writing their name and birth weight! 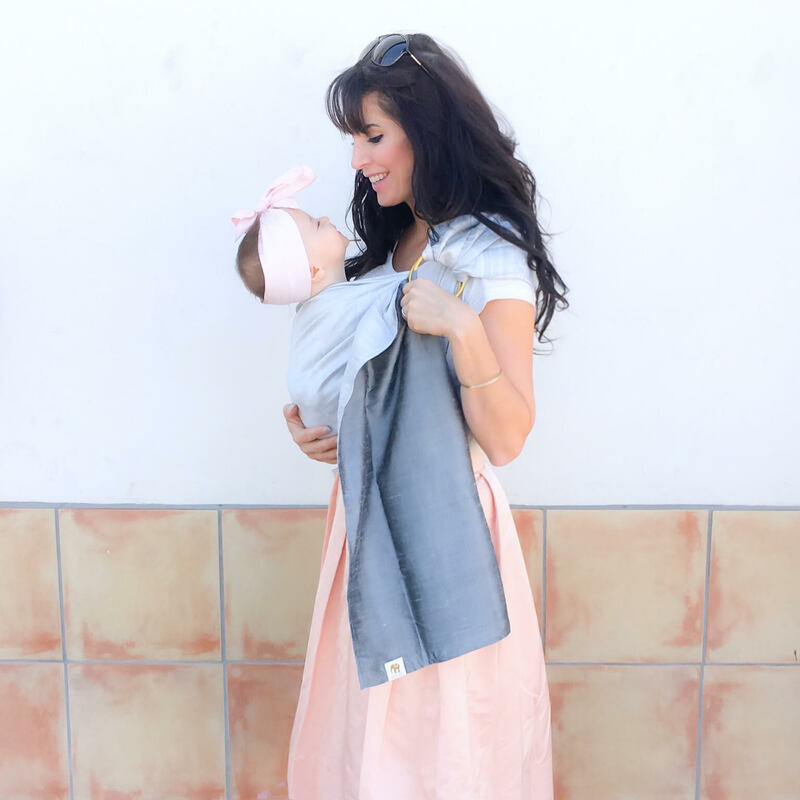 Well, I met one smart mama named Brynne who came up with a baby book solution! It's called "Your life in Letters". 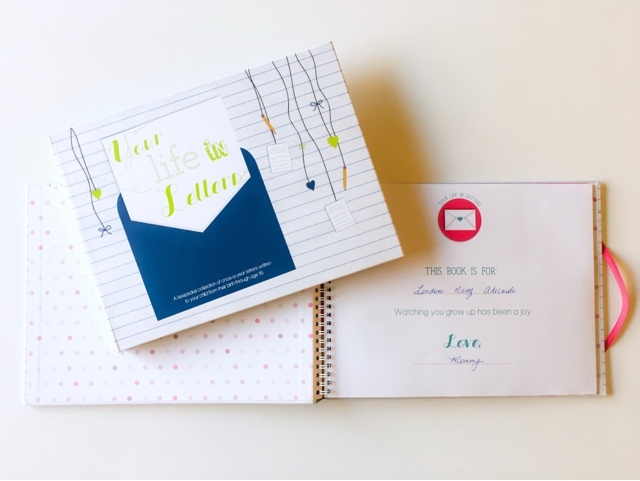 A keepsake collection of once-a-year letters you write to your child from birth to age eighteen. This easy to use book only requires you to sit one time a year to pour your heart out to your child. 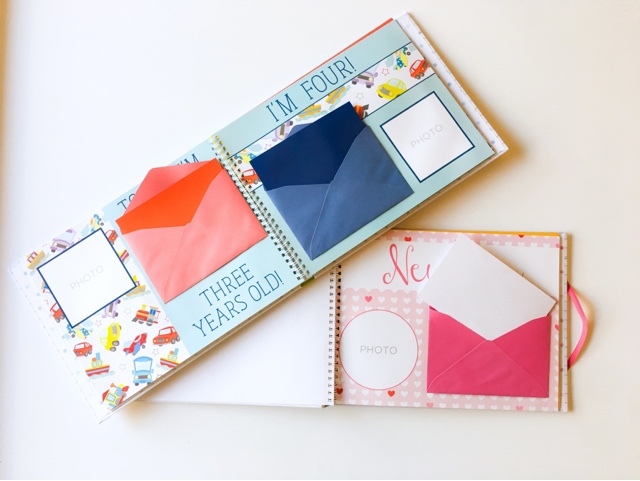 There is a photo spot to add a picture of your little one (or big as they grow) and an envelope with a note inside ready to write on. You can add more if you feel the desire to write a longer letter. I do love the size of the paper because it doesn't feel overwhelming to fill out. I am planning on starting the three smaller kids letters. I know that I won't have Kaeden and Kinglsey from birth but they will appreciate the years they get going forward. 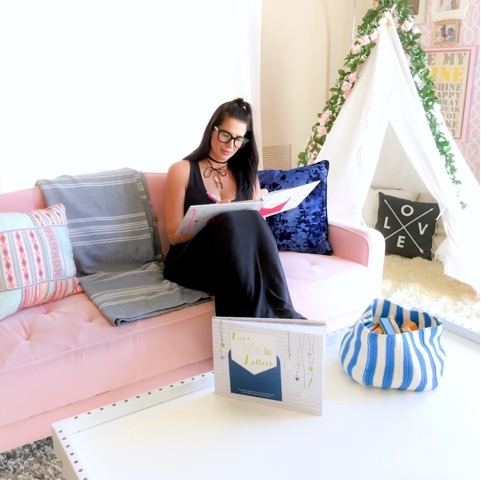 When I was pregnant with Braedy I bought a note book to write him letters during my pregnancy. I wish I had kept up after he turned five years. Here are some excerpts of the notes I would write to him. I can tell you that years later I feel all sorts of emotions being able to read these. Well my due date is just around the corner. Your dad and I are getting very excited. You have a beautiful room ready for you. Your dad built you an armoire and matching change table. The work he did looks great. You have lots of toys and clothes waiting for you to be played with and worn by you. I've had a great pregnancy. No morning sickness or other problems. I haven't changed much since I found out I was pregnant with you but of course I eat healthy and don't smoke or drink. You are pretty calm baby, you just wiggle around all the time, you don't kick much and you never hurt my ribs. The letters go on to talk about our lives and the little things. I can tell you that back then it didn't seem like much to write them but having these to read now is amazing. I love to remember the house we were in or what job I was working and to have my boys hear that I held and loved them as much as they see their younger siblings get love. 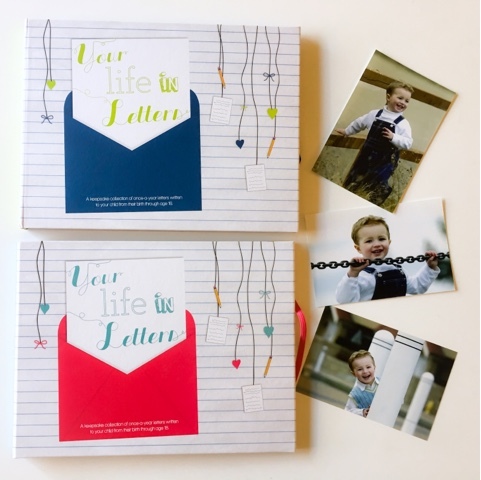 I think the Life in Letters book would make the perfect shower gift! Do not stress about perfection! Your child will love anything you choose to say. On the back of the letter add their height and weight. My boys love to compare sizes to each other. Use easy apps like Costco print or Walmart to grab that single photo with your regular grocery shopping. These days prints are rare to do. Grab an extra paper or two and ask a family member or special friend to write a note too. Even if you are late or miss some time pick up from that moment and write the note. I plan to do some extra writing after thirteen years to my kids this weekend.